Robbie Williams has revealed that he once gave one of his Brit Awards to Manchester United and England footballer Wayne Rooney. The singer, who has won a total of 17 of the gongs during his solo career and time with Take That, said he was stoned when he decided to send one of the prizes to the striker. “I’ve given them away. 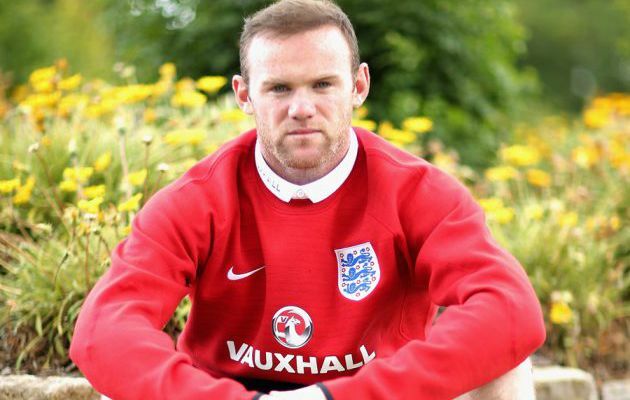 Dad’s got one, my mum’s got a couple, Wayne Rooney’s got one…” the singer said. He added: “I was stoned and Wayne got injured in a match, and I shouted to my manager: ‘Michael, will you send a Brit to Wayne Rooney? Tell him to get better from me’,” he said. “It was like those shopping decisions you make on Amazon when you’re on Ambien. Williams also revealed that anti-depressants are helping “to put his demons to bed”. He explained he went through a “weird summer” when he could not relate to anyone apart from his wife, actress Ayda Field. “I didn’t know how to talk to anybody, even people who are with me everyday,” he told the Radio Times. Williams recently accused Led Zeppelin legend and neighbour Jimmy Page of spying on him amid a row over the renovation of the former’s London mansion. The former Take That singer lives next door to Page in west London and the pair have been locked in an ongoing debate about Williams’ plans to renovate the home he bought from the late Michael Winner for £17.5m in 2013. The Royal Borough of Kensington and Chelsea planning committee approved Williams’ building plans last summer but the dispute has seemingly continued.